It has been a while since I last updated how Monkey boy has been doing. It’s now the June holidays and school is out. From the last update we have been continuing with him doing his budget accounting and adding of a few more chores in the household. He has just started ironing since we got a new Philips Iron. 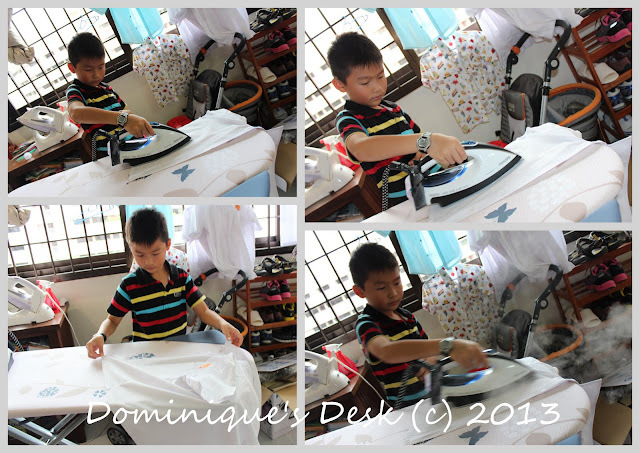 This iron is really simple to use and now at 9 yrs old he is old enough to start ironing his own school uniform. I’ll be training him how to iron more different types of clothes in the near future. 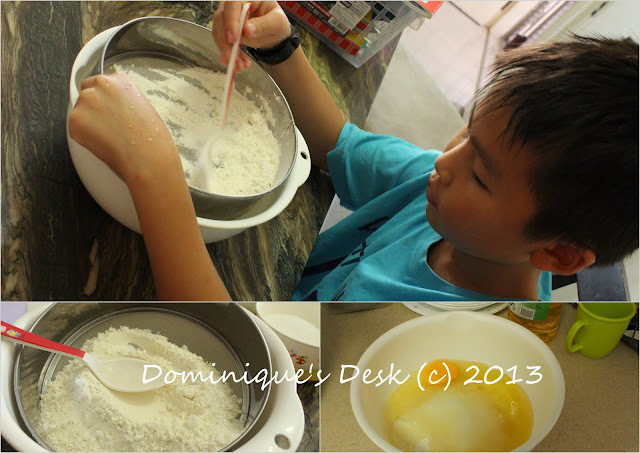 I have been also teaching Monkey boy to do more different bakes in the kitchen. Besides the simple chocolate cake he now is able to bake blueberry muffins too. He enjoys helping out in the kitchen and it is great that he is enthusiastic in learning how to cook and bake. On the academic front he has been doing pretty well with his grades. For this semester he has maintained a Grade 1 average and is within the top 10 percent of his cohort. I do hope that he will be able to get top 3 position or even higher in standard this year. What have you been doing with your kids? Amazing kid. No wonder you are proud of him. Very rare I can see that a young man like your son would do this. Very responsible kid! You are so blessed!